REVIEW SUMMARY: An intriguing novella that strongly explores the themes of art, form and identity. BRIEF SYNOPSIS: A relatively famous artist named duLane, seeking a new challenge, journeys to the wildest world in the Upshot, only to find his very identity and art challenged and confronted. PROS: Strong pair of main characters; clever worldbuilding; interesting prose style; very strongly evoked themes. CONS: The denouement of the story doesn’t quite pay off the promise of the opening; infodumping sometimes stops the action in its tracks. BOTTOM LINE: An interesting novella that explores some thorny issues in an entertaining way. Imagine a series of worlds interconnected by a network that mandates that to travel from world to world, you must give up your original body, your original flesh, and take on new flesh, a new random looking body at the destination. In such a world, where identity is of the mind and not the body, how would society change? How would relations change? And what taboos would still remain? Now, imagine a world in this society that is the sink of experimentation, wildness, changeability and decadence. Where the nature of humanity and the flesh are put on display in an endless carnival and parade of augmented and changed bodies. Hawk-men and mimickers of Prometheus. Centaurs and Angels. Where people, rich and poor, strive to continually refine and reinvent themselves in an endless loop of body modification, using a repurposed form of the Upshot system as a way to decant into newer and better forms. That is Rotten Row, the eponymous world in Chaz Brenchley’s novella. Rotten Row is the story of duLane, an artist who uses drugs to deeply connect himself to the Upshot worlds he visits. otten Row is a challenge even for his ability to adapt to a new world. Although there are stories throughout the Upshot worlds, from tourists and vids, of what Rotten Row is like, duLane, like anyone, is unprepared for the reality of what Rotten Row really is, and what it’s like when he finally arrives. Mel, the centaur, is the other major character in the novel and is in many ways duLane’s entry point, and the readers, to the society and world of Rotten Row. 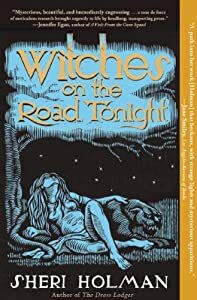 She comes off as a character as fully fleshed as the protagonist and a fascinating study of what the ethos and philosophy and values of Rotten Row looks like. The author does not shy away from the physical problems that a centaur in the real world would have, either. Rotten Row itself comes across as a perpetual Mardi Gras Carnival where the participants strive not only to see and be seen, but to be able to continue to reinvent their flesh, in ways that society considers trangressive and taboo. Given how strange and alien the society of the Upshot worlds is to readers of the story, I found it interesting that the author chose to show us what an alien culture finds alien and strange and unexpected. The writing of the story, although suffering sometimes from getting stuck in place in describing some of this wonderfully detailed world, is clever and interesting. Using a mixture of second-person and first-person, Brenchley tries hard to bring to life the experience of being an artist coming to terms with the strangest world in human space. We experience duLane from the inside looking out. This playing with identity goes to the heart of one of the themes of the novel and using the text itself to explore that is a neat trick. There is a relatively thin plot to Rotten Row; the author, however clearly is interested in doing other things, more interesting things, than exploring a traditional narrative. In some ways, the plot feels a bit like an afterthought and a necessary although not enthusiastically used skeleton. What is far more potent, even more than the rich and interesting worldbuilding, is the consideration of the themes of art and identity. The story succeeds, ultimately, as a potent meditation on these two themes. 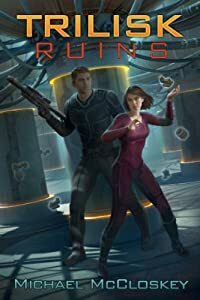 It is rare that theme — as opposed to character, setting, plot and language — is the strongest or the most focused on part of a sf story, but Rotten Row manages to make that succeed. For that reason, I think the story works best for those readers willing to engage in some thought experimentation and some explorations of the subject rather than a more traditional narrative.